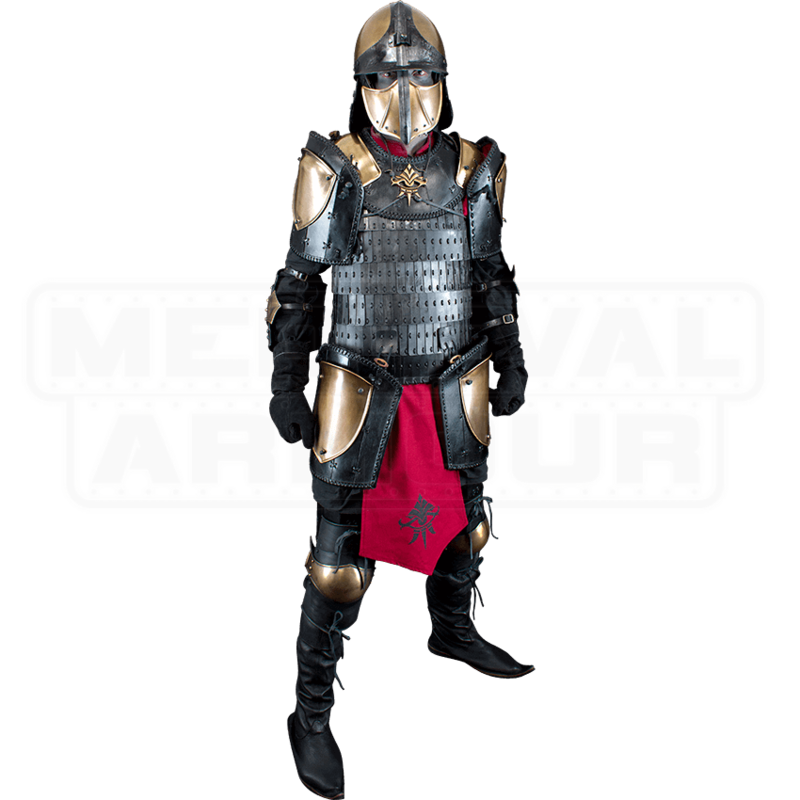 Be ready to head out into the fray by dressing in the pieces of the Ratio Complete Armour Set. 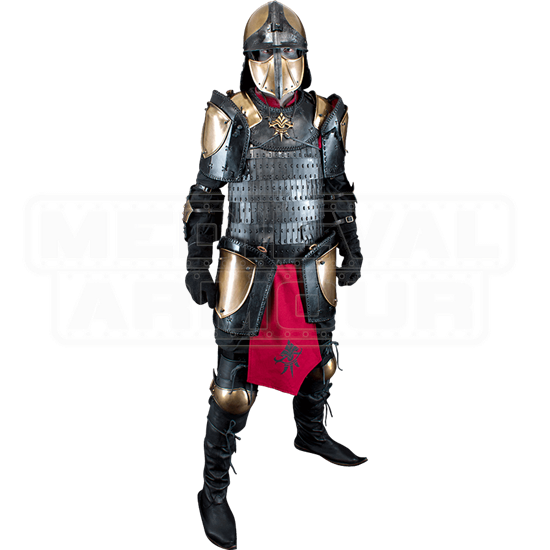 This fantastic armor package includes a red and black tunic, helm, arm and shoulder protection, torso protection, and leg protection. Crafted from 19 gauge galvanized mild steel, the various metal armor pieces displays brass and black finishes for a striking look. Top-grain leather fittings help to fasten the pieces together. This complete armor set makes a great choice for Asian and Roman warriors, as well as anyone who wants the simplicity of an entire composed armor collection. The Ratio Complete Armour Set is licensed ConQuest armour. ConQuest is the biggest LARP gathering in Europe.